November 20, 2014 / Rachel C.
Well…it’s been like ten days since I last posted something. My days are definitely blending together, because I had no idea until I saw the date of my last post that it had been that long. But I am going to at least keep taking inspiration from the weekly prompts. 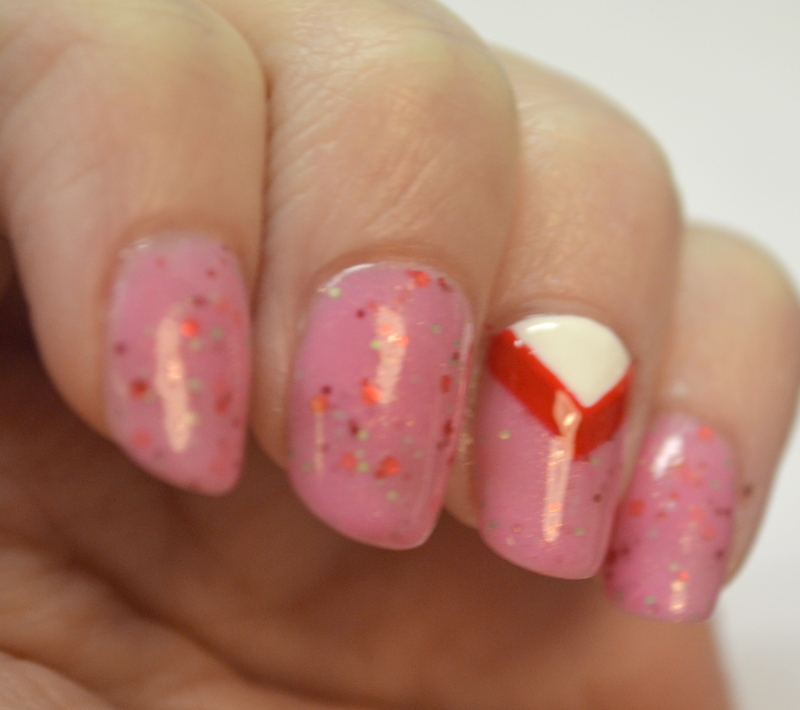 So here is the nail art that I did for the challenge. 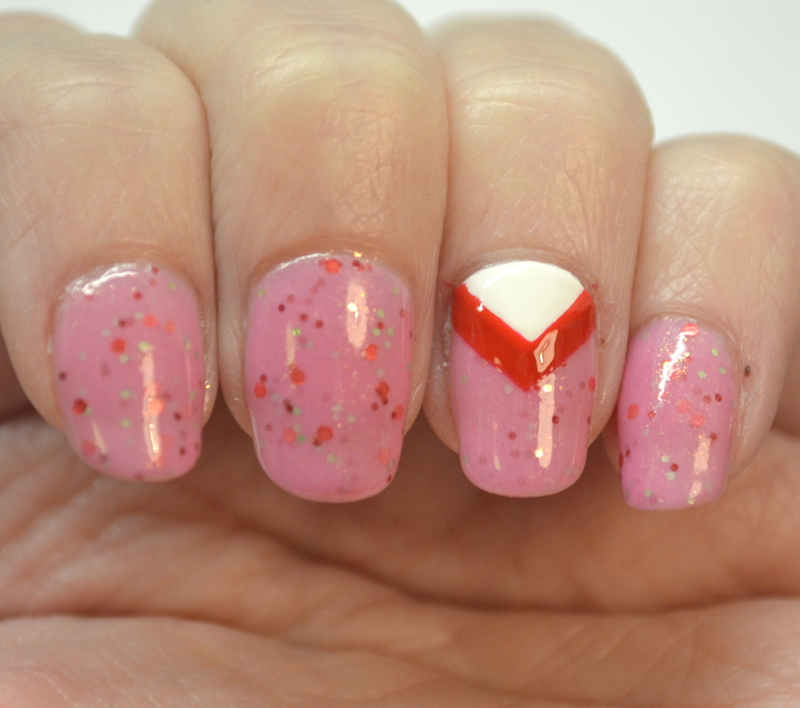 I used ALIQUID Lacquer Cherry Festival, FingerPaints Paper Mache, and Essie Russian Roulette. This is actually not what I meant to do. I had just the white chevron for my original idea, but it looked sort of boring so I thought I would add a nice little red outline for a pop of color. Freehanding that outline was apparently not my best idea, because it took a pretty wide stripe before I was finally able to straighten things out. It’s not bad, but I didn’t particularly like that design on my nail and I really wanted to wear Cherry Festival for a little while longer. So, I tried something new. 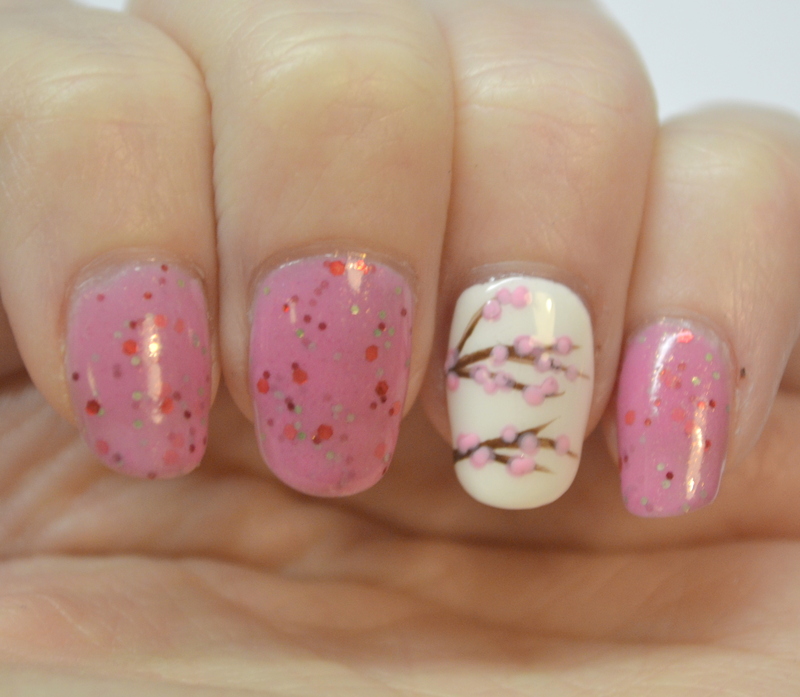 Cherry blossoms, to go with Cherry Festival! 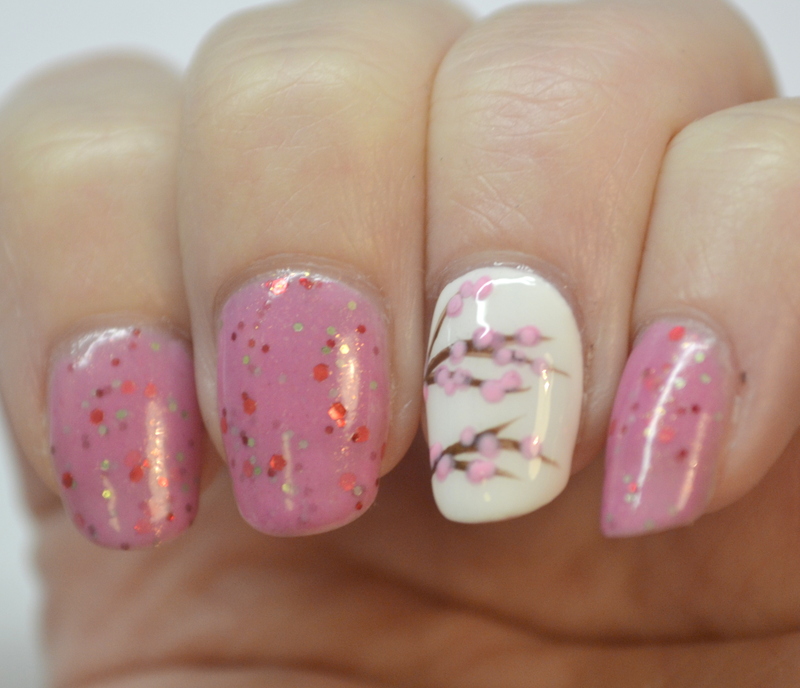 I used Paper Mache as the background, Zoya Louise for the branches, and the blossoms themselves are Sinful Colors Cotton Candy and Kleancolor Pastel Pink. I like how these turned out. 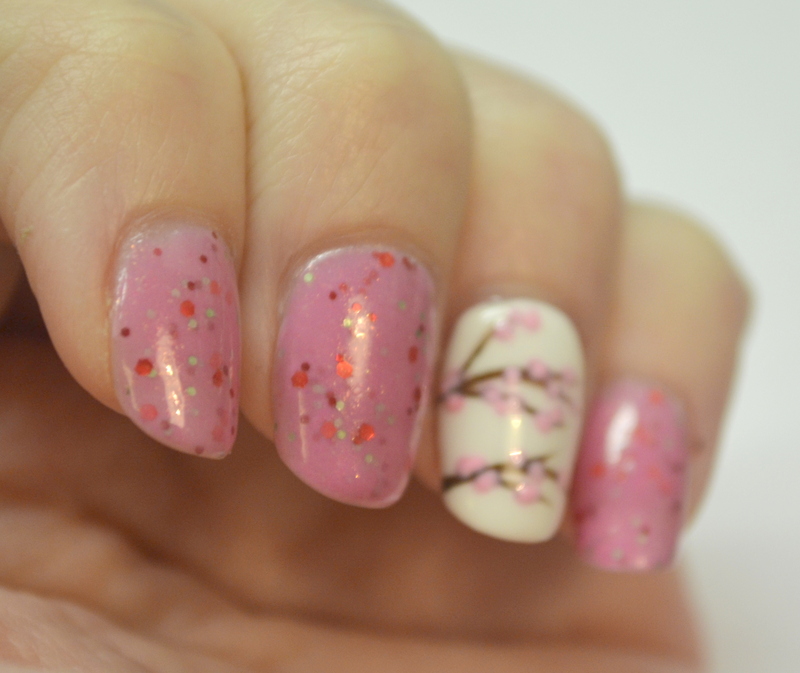 Do they look like real cherry blossoms? Probably not. 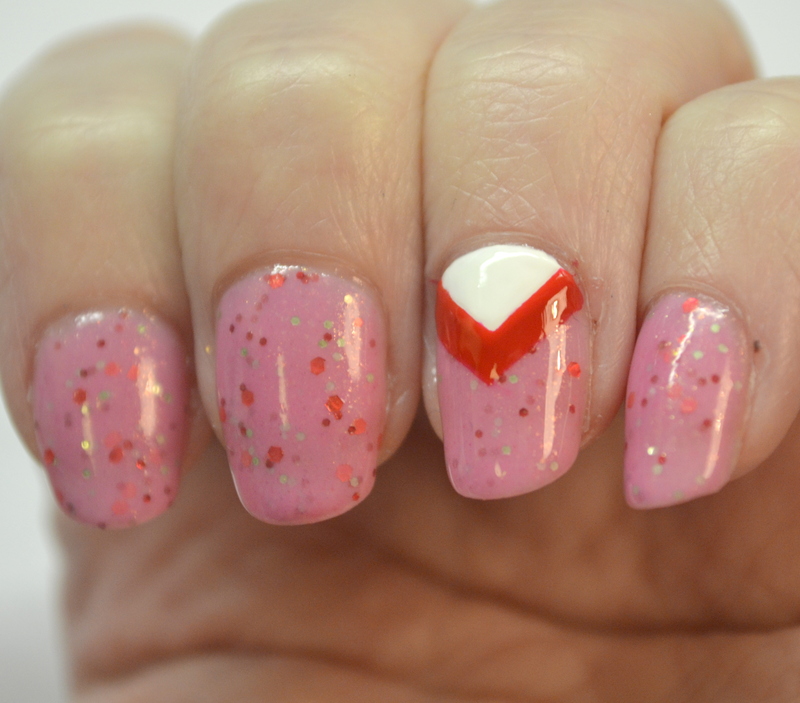 But I think the overall mani is cute, which I am honestly surprised by because, well, I hate pink. Cherry Festival is a polish I bought out of curiosity, but it actually turned out to be really pretty and I wore it for a few days before taking it off. 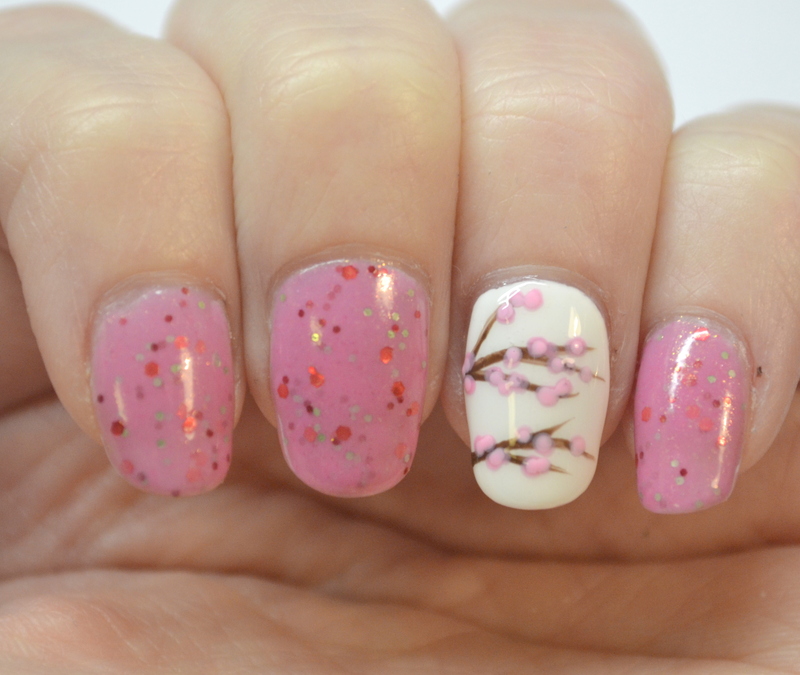 And the cherry blossoms were so easy that I am probably going to adapt the design for the upcoming Challenge Your Nail Art fall challenge. Which is a challenge that I will stick with!